Coffee and I are inseparable in the mornings, in the hours before I must ply my trade as a writer at Kars4Kids. My brain is on autopilot as I sip unsweetened, strong black coffee. Two cups only. I can make them last about an hour and a half each and the saddest part of every morning is when the last drop is too small to make it from the bottom of the mug to my lips. During this coffee-imbibing period I am groggy. Very groggy. But I dutifully go through my Facebook newsfeed and share with my readers the items that manage to make an impression on my sleep-befogged brain. On rare occasions, a news item will do more than tap me on the shoulder. It might for instance, whisper, “Ping!” in my ear, or even make my eyes bug out in a fury. Yes. I am that kind of person. The news can move me. This morning it was this piece on Ynet. 1) The color of the sticker. 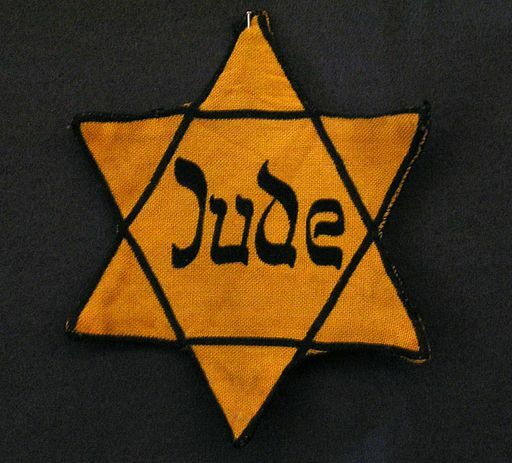 They know darned well, these BDS people, that during the Holocaust, Jews in Europe were forced by the Nazi regime to sew onto their clothing yellow star-shaped patches with the word “Jude” (German for “Jew”) in the center. The Judenstern might mean that a Jew, minding his own business, just walking in the street on the way home from an errand might be shot on the spot by Nazi soldiers. If a Jew was lucky, he might only suffer degradation: have his beard shorn, be urinated on, or perhaps be beaten in the kidneys with truncheons. 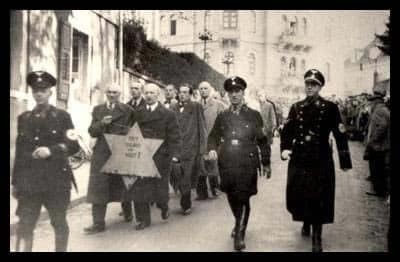 In short, the forced wearing of the yellow star was a way to identify the people Hitler (may his name and memory be erased) wished to annihilate by way of his systematic Final Solution. 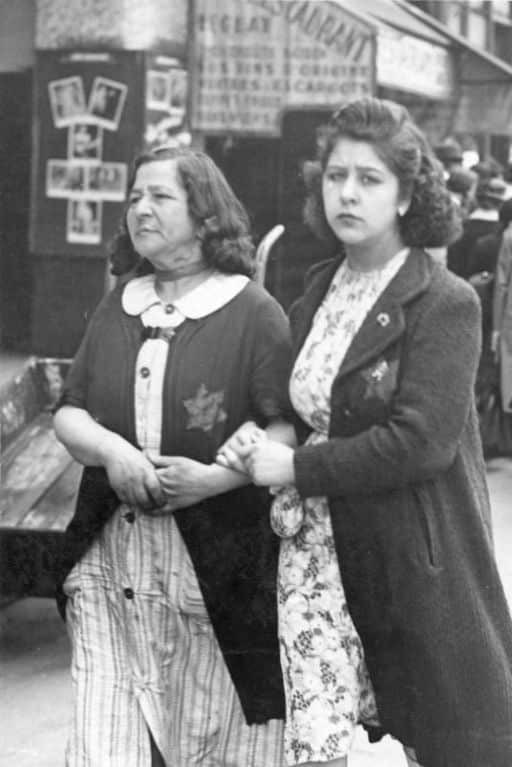 Jews wearing the Judenstern were packed into cattle cars and shipped off to concentration camps where they were gassed with Zyklon B. And now, the color yellow is brought into play to identify products from the Jewish State in supermarkets in the UK. To mark them as something repugnant. This can be no accident. The BDS people would like to spin this sticker campaign as an act against Zionists as separate from Jews. 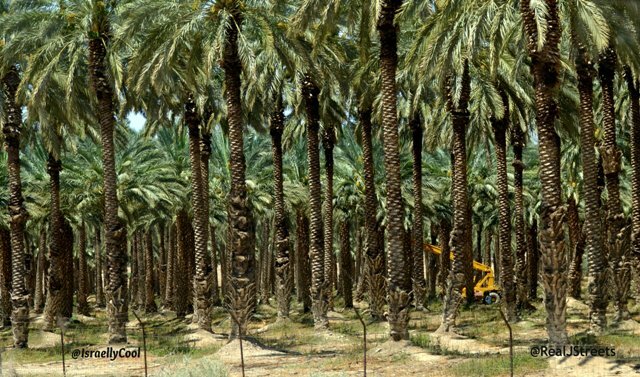 But Zion is the land of the Chosen People wherein the Jewish State of Israel was founded and besides, we all know very well what a yellow patch/sticker signifies whether affixed to a sleeve or a package of Medjul dates. 2) The text on the stickers. 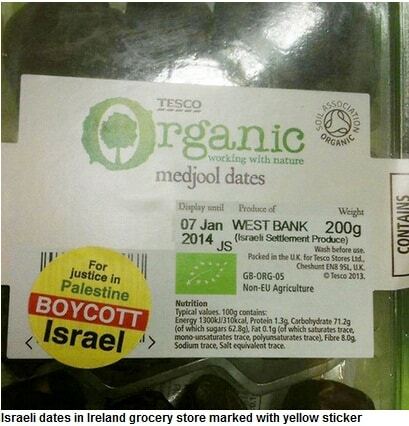 “For justice in Palestine, Boycott Israel.” The BDS people would like Tesco shoppers to believe that the Jewish State is “occupied” by Jews who stole this territory from the Arabs, who they claim are indigenous to the land. But these ideas betray either the dishonesty of those who espouse them or perhaps base ignorance of factual history and the bible (Hint: open a hotel room drawer and have a read. Take it home if you like. It’s on Gideon). 3) The false narrative that settlements in Judea and Samaria are illegal. The substitution of the term “West Bank” for “Judea and Samaria” on these yellow stickers is a propaganda tool used to paint the territory as something other than the rightful and historic heritage of the Jewish people. Again, the bible and historic fact say otherwise. Building homes for Jews in Judea and Samaria is absolutely legal under international law, not to mention common sense. Jew, Jude, Judenstern, Judea. Hello? 4) The irony that items in a store (Tesco) established by a Jew are affixed with the equivalent of the Judenstern. Tesco was founded by a Jewish immigrant to Britain, Jack Cohen, whose descendants live in Israel. Why not just put a big yellow star on the entrance to all Tesco supermarkets? Because that’s what this is all about really. Smoke out the Jews. Starve them. Degrade them. Drive them away from their homes. We can all say “Never Again” until we’re blue in the face and put up Holocaust memorials here, there, and everywhere, but the Europe of Dublin is the Europe of Berlin. 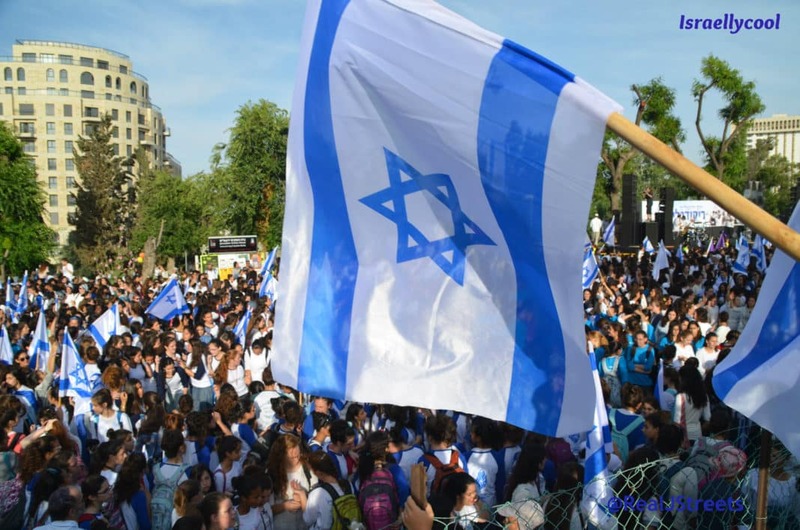 It’s the Europe that fingers the Jew as the cause of all ills—the Europe that hides its vicious hatred under a too-thin veneer of political correctness that covers little and fools no one at all. A sticker or a patch of cloth: it wouldn’t have fooled Hitler. And it won’t fool the Jews.